Christmas is just around the corner so I thought this would be a great time to finally post how did my plans for this year go. You can check my post about 2015 plans here and my 2014 year balance post here. 1. Upload more photos of my dolls: the original plan was to post at least one photo each month, but I failed around april lol. Sad, I know, but I did post a lot more this year than any other year so that’s progress right? In fact, half my flickr gallery photos are from this year. So there you go. I can still improve this one by a lot. I did delete a few photos from this year that I really hated so there was even more. 2. Get the story of my dolls straight: check! I spent a lot of time this year just thinking about my dolls story, though I never posted anything because I didn’t write that much to be honest. I also finished writing all my dolls’ profiles with the exception of Ailene, because I’m still trying to figure out a good reason for her for spending so much time with Lucas haha. Once I upload the new blog layout I will be adding the profiles to this blog. 3. Think really hard before purchasing any more dolls: twice I planned to buy a doll and both times I couldn’t do it in the end. They are both still in my wishlist and I didn’t make any impulsive buys though I was tempted so many times. It helped that I spent half the year broke. Verdict: though thinking really hard before buying and not buying is not the same, I think this one was a success. 4. Learn to sew: yeah… nope. I mean, this was really a long shot and I knew it, so I was happy even if I could make some accesories and props this year. And did I? well I started learning crochet and did a scarf that was too little for Lucas (but surprisingly enough it was perfect for Hana). And I also did a christmas hat for my tinies! Handsewn as best as I could with my lack of skills. I think it turned out pretty cute, it’s such a shame I didn’t take better photos of it. Verdict: half fail. I did things, but it’s just not enough to consider it a success. Even knowing Leo was coming at the beginning of the year, I didn’t set up a goal for his face up. I thought I was going to do it as soon as He got here. Oh dear, how wrong I was. He arrived in february so the weather wasn’t even a excuse!!! I did his face up and finished it yesterday and I loved it, until this morning I realized the last layer of varnish was kinda flakey? no, not that, more like cloudy. So yeah, I really liked how it turned out, but I’ll have to re do it. I still took a few photos of it. And last. but not least, I wish you all a christmas and new year full of love and loved ones to share it with. Presents are cool and all, but the important things are the feelings we have towards each other and the memories we make with our loved ones. I hope 2016 bring you many good news and people to smile with. You were definitely more successful at your Year Balance than I was! I keep forgetting about flickr except every now and then. I really should go on there more but I seem to hang out mostly on my blog this year. I think you did a great job of the things you ended up crocheting for your dolls. I hope you will continue to make more things! And sewing is hard, even hand sewing. For me, it’s motivation. Especially after I spent 4 hours trying to handsew a minifee shirt and it still didn’t turn out. Kind of makes you want to throw the towel in! 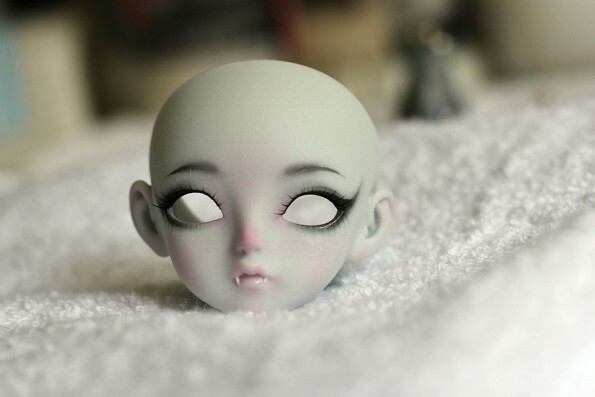 I know you’re going to redo Faolan’s face but I think that face up is really lovely. I love how you did the eyeline too how it curves up at the end. The colour tones also work so well with that resin colour. Nicely said! Memories are all we have left the older we get too so they are the more precious for it. I hope you have a lovely Christmas with the ones you love. Merry Christmas and A Happy 2016 to you and your family. I think there’s less and less people using flickr and deviantart these days and more people using instagram. Blogs are still very few, but I hope more people start doing them 😀 It’s my favorite way of sharing in this hobby. I think you had a successful year!! Also, I do believe Faolan (we talked so much about him as Leo that it is going to be hard adapting! xD) looks great, and it is a shame what happened with the varnish. 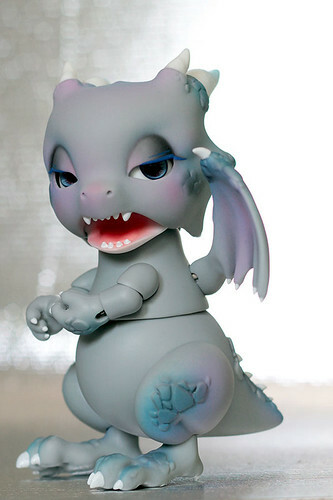 Hope the new faceup will be even more perfect! I wish you the Merriest of Christmas and a Happy New Year!! I didn’t want to give him the name before seeing his face up all done so I’m adjusting too haha. Leo suits the sculpt so well too 🙂 I’m glad you liked the face up! It was my first try at using a brush for the lines in the eyebrows and it was pretty decent so I hope his next face up will be much better in that. It’s great that you (half) succeeded in most of your goals~ ahaha 😀 crocheting stuff is awesome too. Also you did a wonderful job on Leo’s face-up~ it must’ve been such fiddly work on such a tiny face x3 I love the little nose blush you added! What a shame with the sealant! 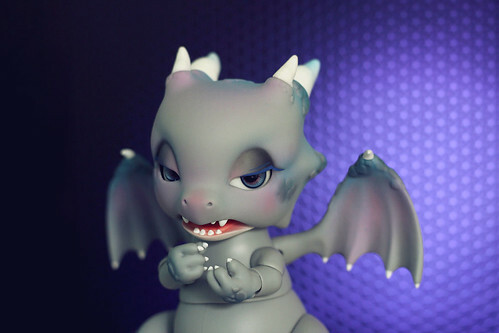 D: He’s face-up looks so cute. 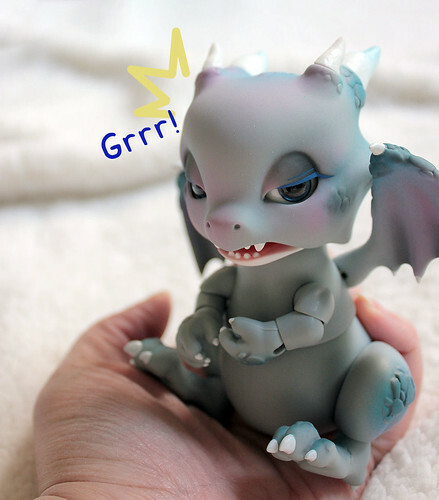 I hope you will be able to make a new successful face-up for him! Yeah this is not the first time a face up is ruined by the sealant, but it sure is the first one I liked the face up enough to be pissed. I’m working in his new face up right now. let’s hope I do well. I admit I forgot mine almost right after making them last year, so it was mostly pure luck that I got a few of them haha. Looks like you had a successful year in my book. As for me… Well, let’s just say that things doesn’t go as planned… Aww, Leo is so cute! What sculpt is he? He is a Peak’s Woods FoF Leo, I love his nose and little fangs :D!!! Aww thank you, that makes me feel slightly better XD I’ll try to do better next year :D!!! It sounds like a good year and as Crystal wrote – the ball is rolling! I hope that 2016 will bring a lot of happiness and joy! Happy 2016! Oh wow, does everyone else have these lists but not me! :O It was great to read what you did last year. 🙂 I wish you a wonderful New Year 2016!